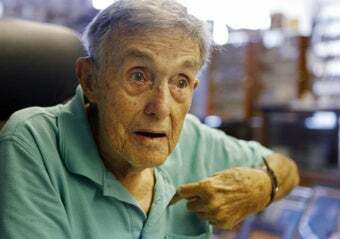 When Derek Jeter stole first pretending he'd been hit by a pitch, 87-year-old baseball-card-store "volunteer" Al Merrill didn't just get mad. He cost himself about a hundred bucks. Al opened his alphabetized box of rookie cards, leafed to the J's and found one of his rarest: a Derek Jeter rookie, 1993 Upper Deck SP foil run No. 279. In it, Jeter is fielding a ball, looking so young and innocent, a golden arc stamped above his clean-white Yankees pinstripes. Al picked up his scissors. Jeter is said to be quite distraught over the whole thing.